Lemming for Sigma Brushes | Vanity and Everything in Between. Sigma has been pretty famous for its good quality brushes. A lot of people say it's the closest dupe of MAC brushes. And sometimes I'd like to believe it. I've tried the Sigma F80 and it does the job! But here's something that I can't wait to get my hands on. I have a lot of brushes and most of them are eye brushes. This is why I want to get this kit. I think it would be of great use! I'm thinking of getting this kit in May! I can't wait! 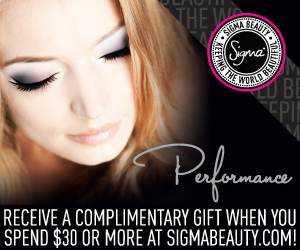 Visit sigmabeauty.com to see their other products!